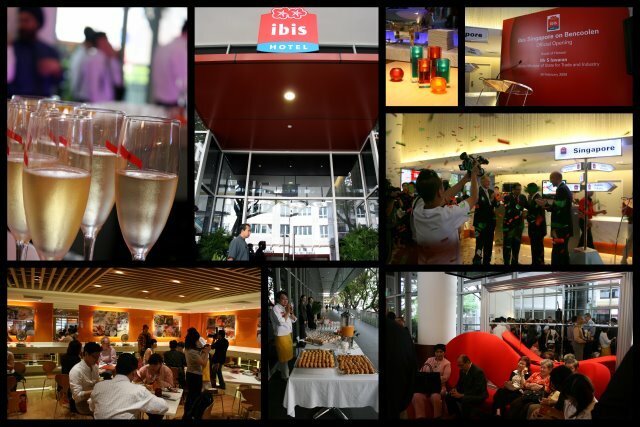 Global budget brand ibis hotel is now in Singapore at Bencoolen Street, with a unique restaurant called "It's All About TASTE" (or TASTE for short) touting tapas-style enjoyment of Singapore's iconic dishes. 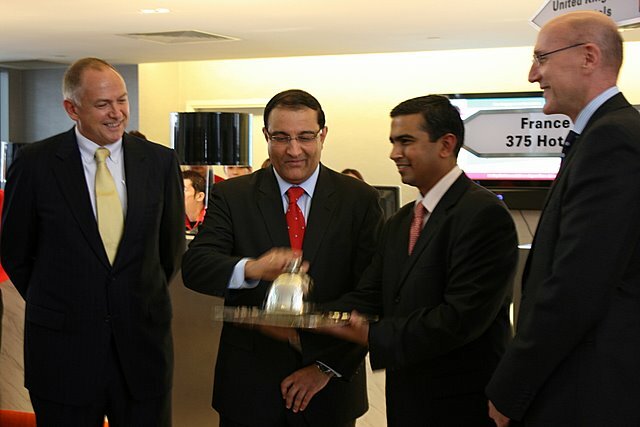 Senior Minister of State for Trade and Industry, Mr S. Iswaran, officiated at the launch today. The 538-room hotel costing S$145 million is the largest ibis outside Europe (and therefore, largest in Asia Pacific too). 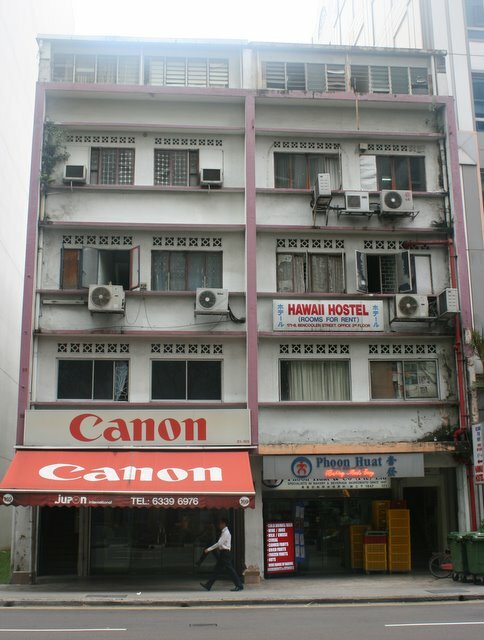 They also announced a second ibis for Singapore in the works, this time at Balestier Road near Novena (completion in 2011). My curiosity had already been spiked earlier, as Keropokman sent me a link to their "Pay what you want" promotion campaign online (which ended last Saturday). He won a room for just S$8, but I wasn't so lucky. The site was so popular, it jammed - at least for me, it did. Anyway, I got a tour of the place today. For a budget hotel, it's really nice. Room decor is simple but stylishly contemporary. Aside from bed type (twin or double), all rooms are exactly identical. No suites, no family room, but some rooms can interconnect, I heard. The large bay windows are soundproof - so you get a view of the busy street but none of the noise. 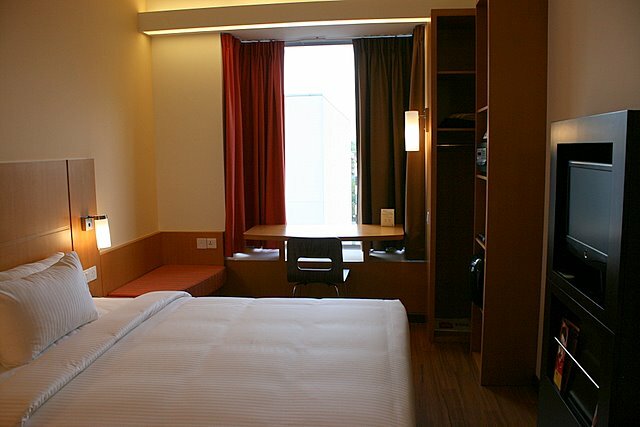 Rooms come with free LAN and Wi-Fi connectivity, and LCD TVs showing cable channels. 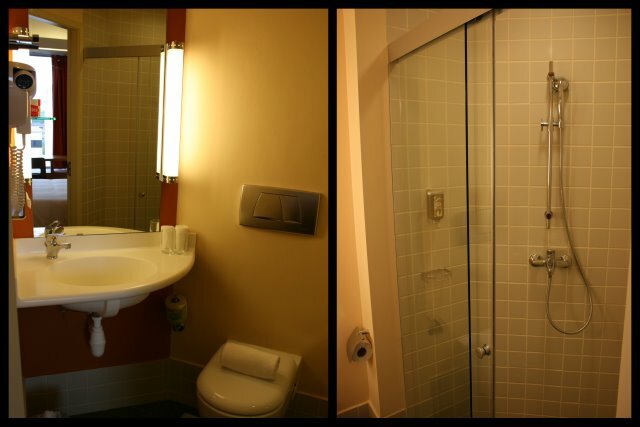 Bathroom is compact and clean. We haven't had to resort to the space capsule type bathrooms in Japan, thankfully! There are small touches that I like. 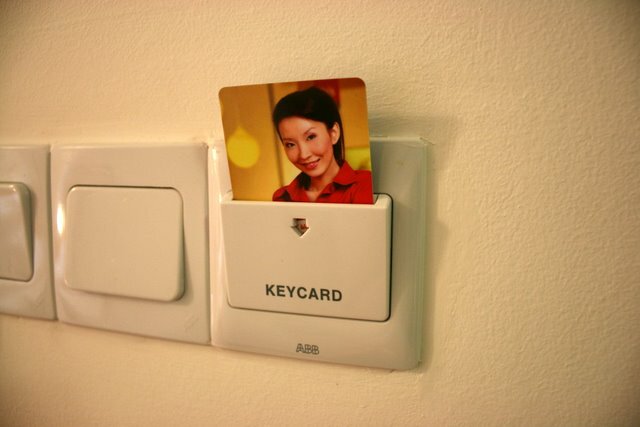 The keycard, for example, has a smiling face instead of some dull graphic/text or generic hotel photo. Service is a big point. "Save on price, not on service" is one of their taglines. What's amazing is that they have this 15-minute promise to attend to (note: not necessarily fulfil) your requests, or the room/meal is free. Sounds good enough to me! The restaurant TASTE is on the ground floor. It's cheery, modern and well-lit. This is where we had our media luncheon. It was hosted by K.F. 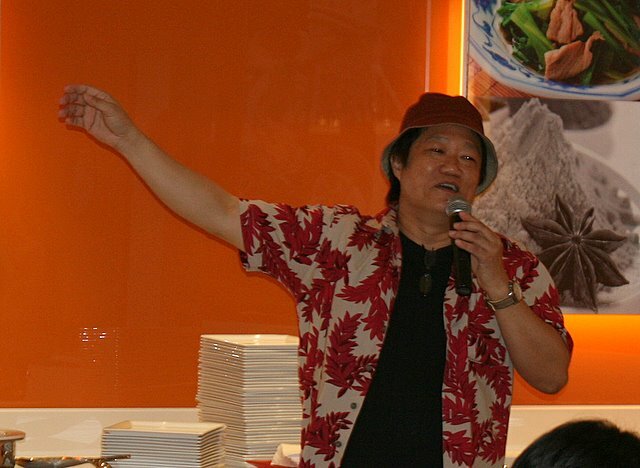 Seetoh, local makanguru who endorses the food here, and also helped to develop the recipes for the 20 Singapore dishes featured at TASTE, together with chef Casey Lai. In his trademark casual manner, Seetoh treated us to descriptions of the food, lovingly embellished with historical details. 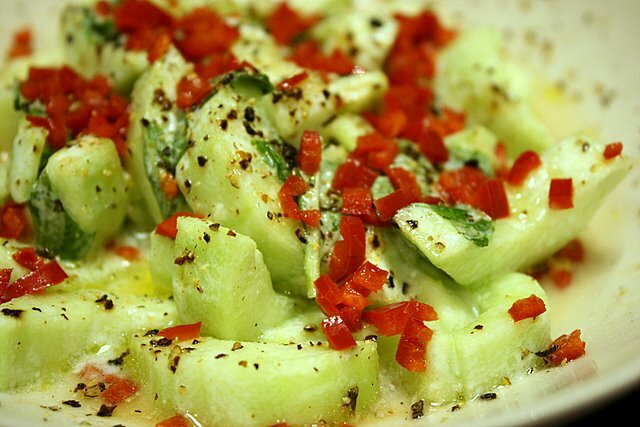 So what's the deal with tapas-style eats? Well, TASTE is apparently also an acronym for "Taste's About Simply Trying Everything" - doesn't this line have K.F. Seetoh stamped all over it? 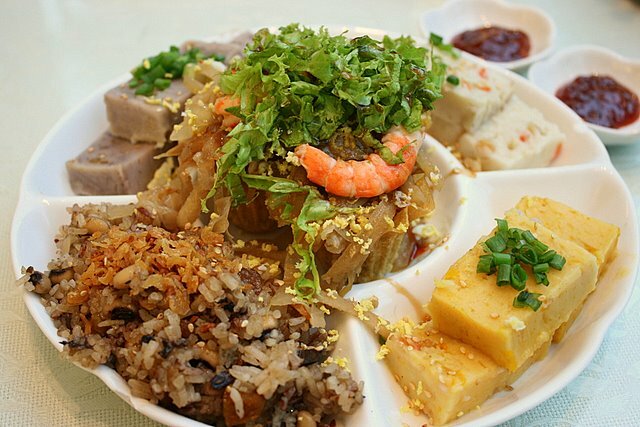 Basically, there's so many tasty dishes in Singapore we should not miss out on. Tasting portions will allow us to sample more without over-satiating ourselves. 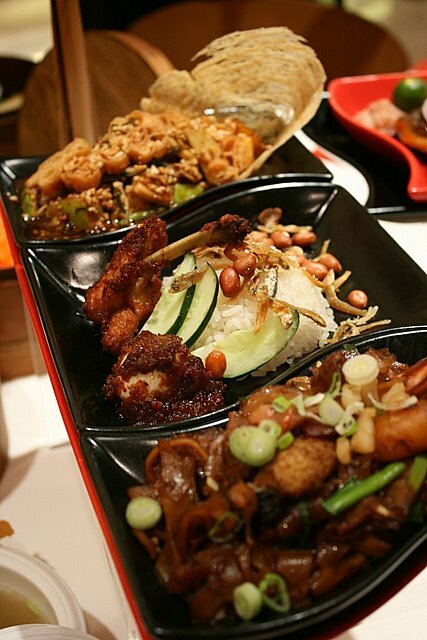 So TASTE lets you choose between three to five dishes to create your own sampler platter. I must say it scores well presentation-wise. My only grouse was that the food was cold - not sure if they serve it to diners this way - I shall have to come back to find out. Here, you have char kway teow, chili crab, and cuttlefish with kangkong. 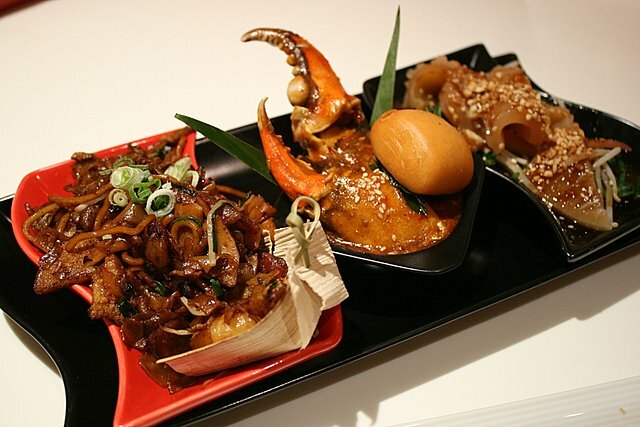 The chili crab is not bad - complex layers of flavour give it its own signature. One mantou (bun) was not enough to mop up the sauce. The char kway teow didn't really hit the spot. I like mine with a lot of fried pork lard bits. The cuttlefish is not a dish I eat, sorry. 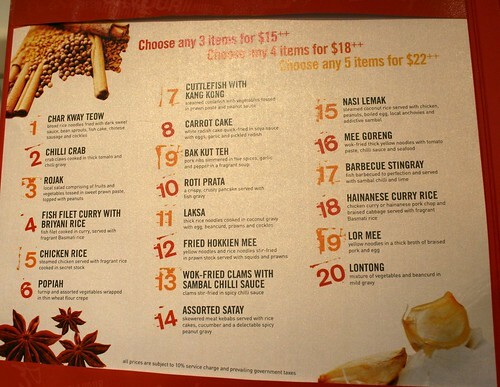 Rojak, nasi lemak and char kway teow - these are photography samples, so I didn't try them. I did get to try the bak kut teh. Tender meat on long ribs, yummy. 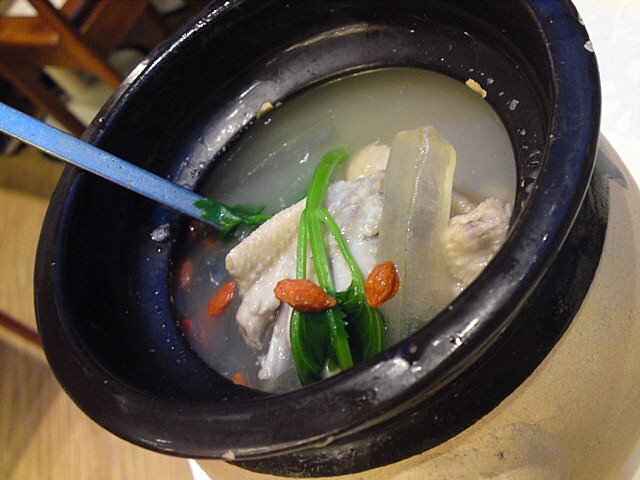 The broth is more herbal than peppery, although light in colour like the Teochew style. Again, it's got its own unusual taste. Chicken rice (front) and prata with curry (back). Photography samples. Satay and BBQ sambal stingray. Again, for photography only. I want to come back for the stingray! Briyani rice - stained a most unusual orange - was rather lacklustre, and missing the aromatic spices that this rice should have. But the fish fillet curry more than made up for it. It's oh-so-lemak! 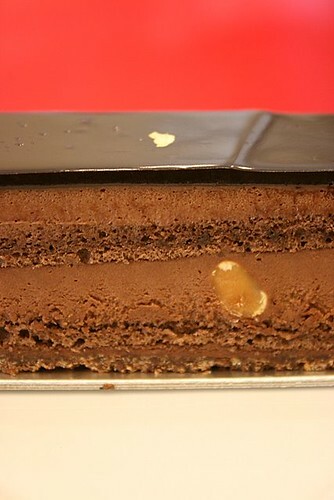 Rich, thick and delicious. The chef uses garoupa, no less. 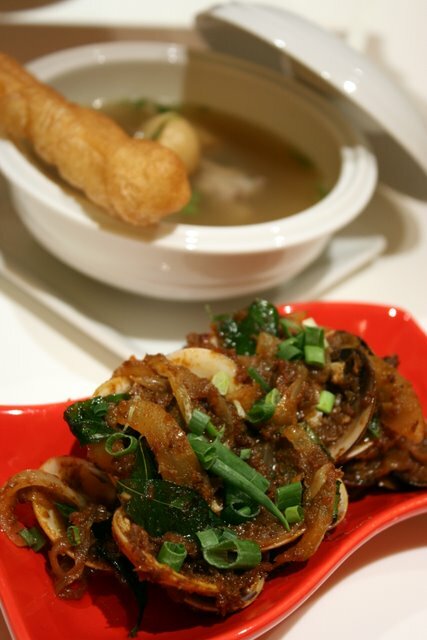 Carrot cake or stir-fried radish cake. They got the most important thing right - the sambal chili sauce! My, if they bottled that, I'd buy it. It would go well with many things. Wok-fried clams with sambal sauce (front) and more bak kut teh (back). These are photo samples, but I got to try some from the buffet. Nice seasoning for the clams, but the meat had almost shrunk to sheer nothingness. 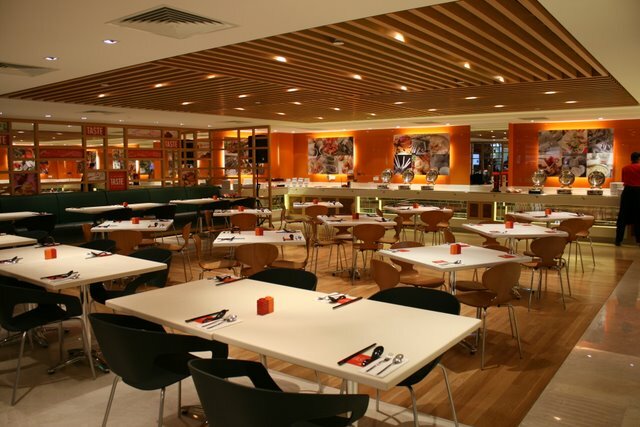 There will be food 24/7, and at ibis, it's also geared to be value-for-money. Of course, some will debate whether it is, since you can walk out of the hotel and eat the same things (prepared hot on the spot) at a hawker centre for about the same price. But for a hotel, I'd say it's quite reasonable. Plus you get all these choices under one roof. There's dessert too, but we didn't see any samples. So there you have it. The Bencoolen area is well-known for budget accommodation and cheap eats, but the new ibis has certainly raised the bar and looks set to bring some tastefully stiff competition in the months ahead. Wonder what its neighbour across the street thinks. The ibis has an opening special til end May - all rooms at S$148++ (about US$96++). 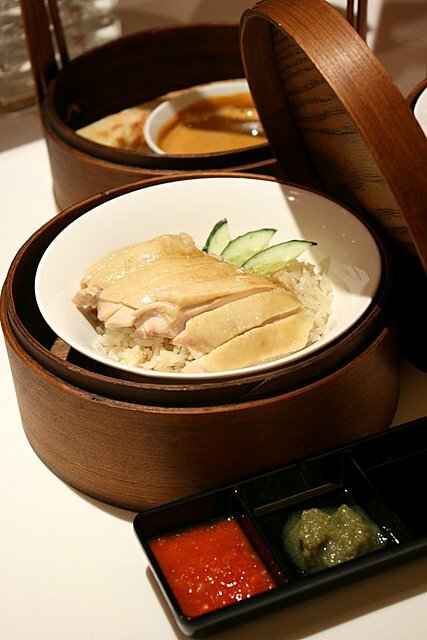 Book online and it's even cheaper at S$138++. They can't tell what pricing will be like in future months, but they do have a lot of rooms to fill. I'm hoping for even better specials. Obolo has some new stuff (well, new to me anyway). 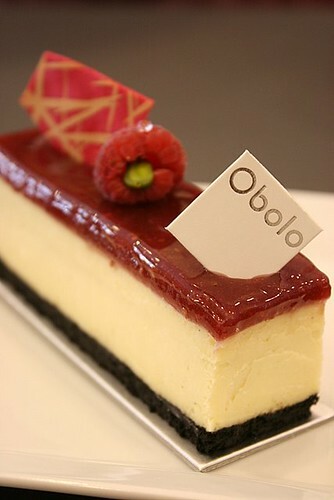 Like this Framboise-Vanille: Vanilla infused cheesecake with raspberry glaze, on an Oreo crust. Simple but nice. Very thick and creamy. The Noisette, now a bestseller, is not as nice as I remembered it. Well, this slice tasted like it had been sitting there awhile. The supposedly crispy parts had absorbed too much moisture. I did go on a weekday afternoon, so I suppose cakes were not moving as fast as they would on a weekend. 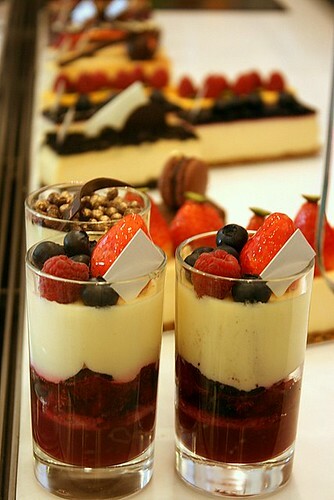 Their small but enticing array of desserts are still lovely to behold. I could not help taking photos, but I was stopped by the staff. Oops. Well, at least I got one shot. Enjoy! Did you hear the siren yesterday? It goes off every year at noon on 15 February, a reminder of how Singapore fell to the Japanese in 1942. 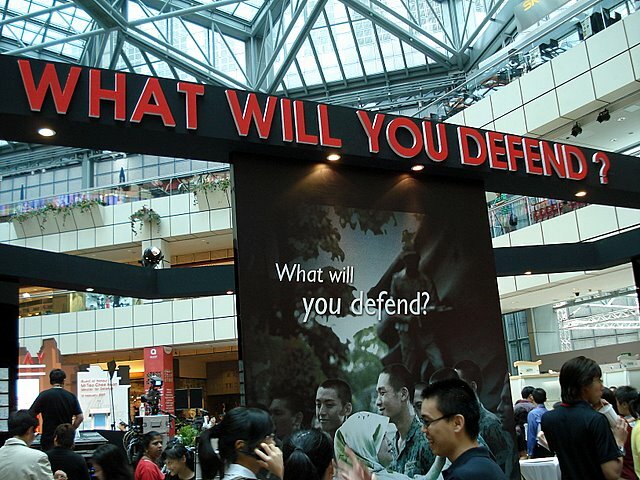 Singapore commemorates Total Defence every year on this day. But this year, on its 25th anniversary, it's engaging the public in a different way. Instead of telling you, it's asking you. What you will defend? We saw the event and exhibit yesterday at Suntec City. It even had a musical, which was not too bad. There's a boatload of activities too. 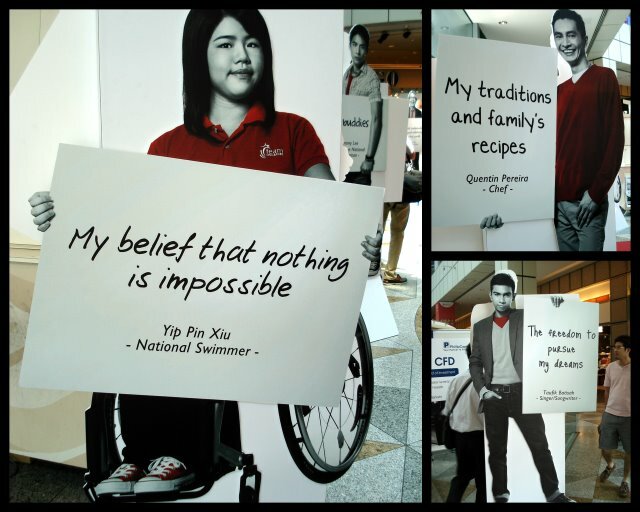 I liked the posters of Quentin Pereira (still yet to try out his restaurant) and Yip Pin Xiu, the swimmer with muscular dystrophy. Nadine sitting at a wall of pledge cards - it's one of many. Here's Jolie's card on what she will defend. Nadine's card is somewhere out there too, but we couldn't find it - they had so many cards! 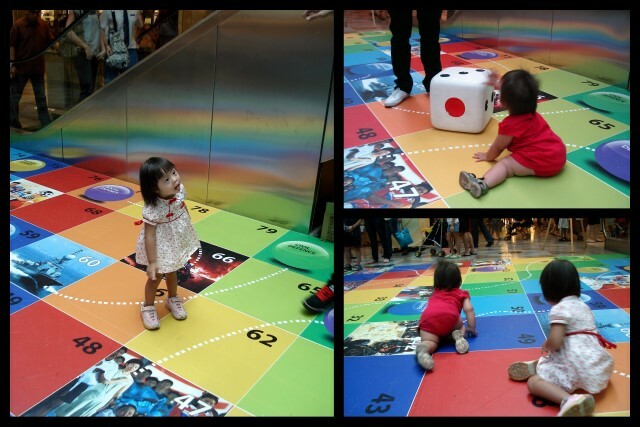 Nadine and Jolie had a ball on the life-sized board game. I had a hard time pulling them away from the colourful squares. All in all, it was a fun day out. I was tickled when a couple of friends suggested this place. 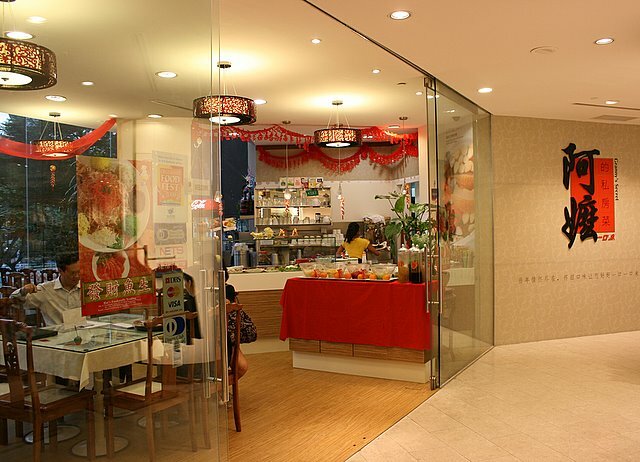 "Granny's Secret" cafe nestled within the OG Albert Street department store, near Bugis. Did they name this cafe after the store's target market? What kind of food would they serve? Food for grannies, by grannies? Turns out it's an eatery run by Yikowei, which has a central kitchen supplying carbohydrate-heavy snacks to various foodcourts. I adjusted my expectations suitably. 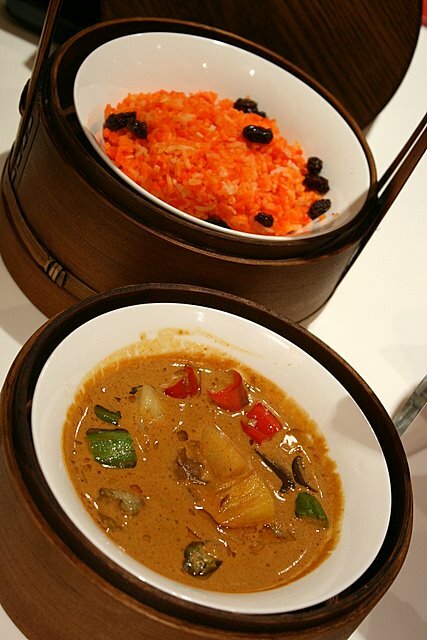 The "Granny" in the name is meant to evoke memories of grandmother's special recipes, cooked with love. The place looks simple but cosy and welcoming. In keeping with the Chinese heritage, you can sit on Oriental chairs that look like they're made of huang huali (a kind of rosewood). We had a chirpy young wait staff who did her best to be friendly and helpful. 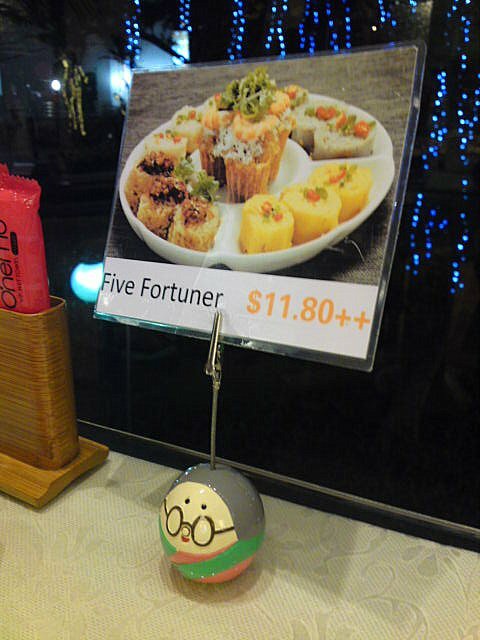 We started with the Five-Fortuner (S$11.80) appetiser - glutinous rice, yam cake, pumpkin cake, carrot cake and kueh pie tee - just a sample of the carb-heavy specialties of the Yikowei chain. 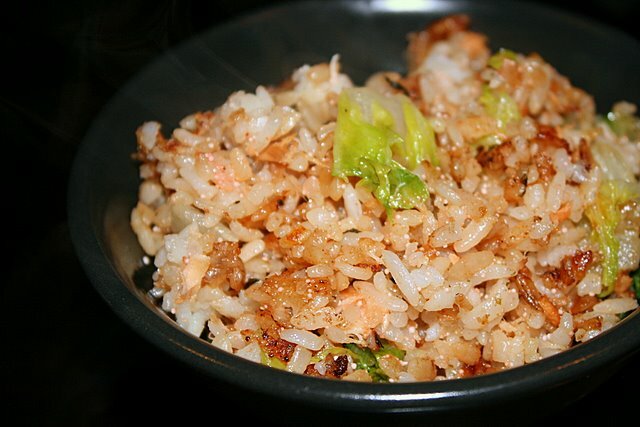 The glutinous rice was delightfully addictive. The rest were passable. The kueh pie tee was overly soaked by its fillings, but that could be because we waited too long to eat it. 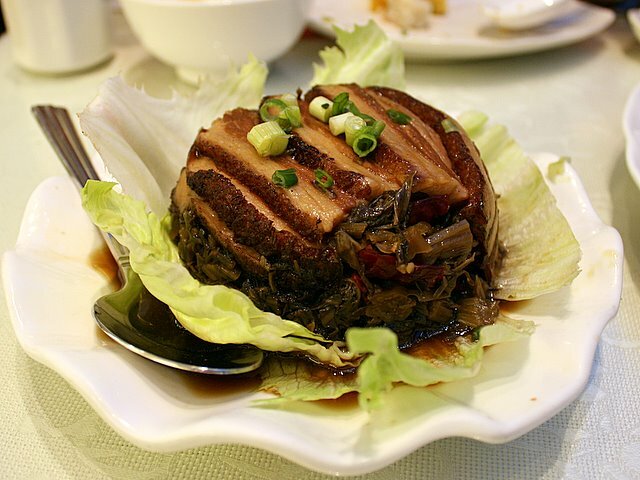 Granny's "mei cai kou rou&" (梅菜扣肉) or Pork Belly Slices with Preserved Salted Vegetable/Mustard Greens (S$13.80). A new item on the menu, which turned out surprisingly good. Very tender layered pork belly atop preserved mustard greens that were not too salty or sweet - just right. 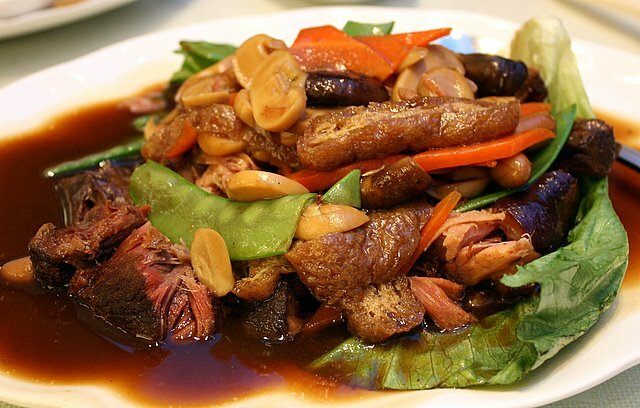 Braised pork trotters with mushrooms, peanuts, vegetables and tauhu pok or fried beancurd cubes (S$16.80). This is the first time I have seen pork trotters so colourfully presented. The meat was fairly lean, so parts of it seemed a bit dry. I didn't have an issue with that, but my dining companions did not like this dish as much. My DSLR battery ran out at this most unfortunate juncture, so the rest of the photos are taken with the Sony Ericsson C905. Chicken soup with winter melon, scallops, aloe vera and red dates (S$22.80, serves four). 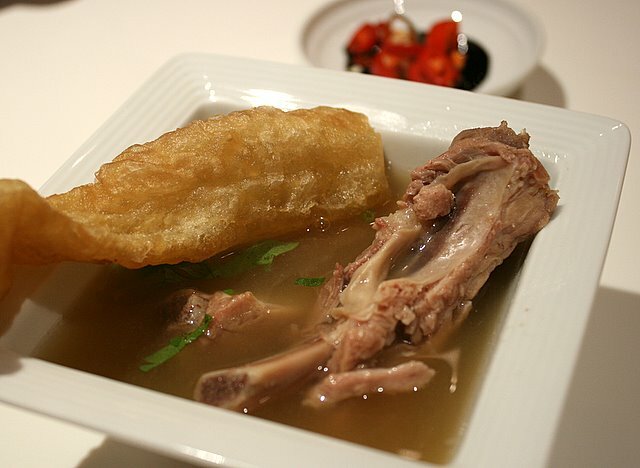 A fairly robust broth with a distinctive bitter tinge. My friend speculated that it was from boiling the red dates with seeds intact. It makes the soup very "heaty", apparently. I'm no expert on Chinese herbal stuff, so I'm not sure. 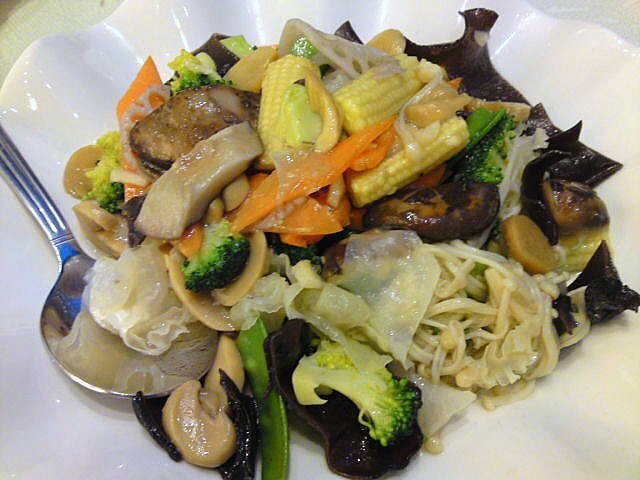 We unanimously loved the Stir-fried Eight Treasure Vegetables (S$12.80), and found it most refreshing. White fungus, black wood ear fungus, carrots, broccoli, snowpeas, button mushrooms, baby corn and golden mushrooms - so many of my favourite vegetables in one dish! We love the cute granny note-clip holder (but notice the discrepancy between photo of the Five-Fortuner and the real thing!). Our seats next to the floor-to-ceiling windows gave us a view overlooking Sim Lim Square. Granny's Secret sure is a hidden find. The food in general is all right - hits and misses as with many places. It's not exactly cheap (service charge and GST can push the final bill further up). However, if you're looking for a quiet and cosy place to dine in comfort around the area, it's most certainly an option. Finally, a meal that makes up for the dearth of good food (and blog posts) lately! 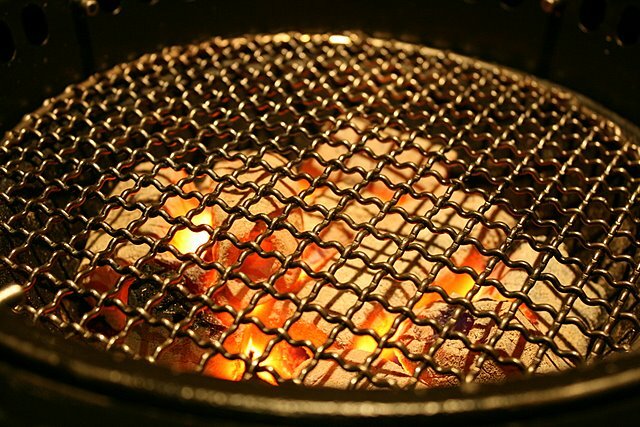 We went to Gyu-kaku at CHIJMES for some Japanese BBQ, and it was mmmmh-so-good! This was truly a meal to remember. We had the Sakura set (S$168++ for two persons), which offers 12 items, including three cuts of wagyu (fillet steak, karubi and rump cap). 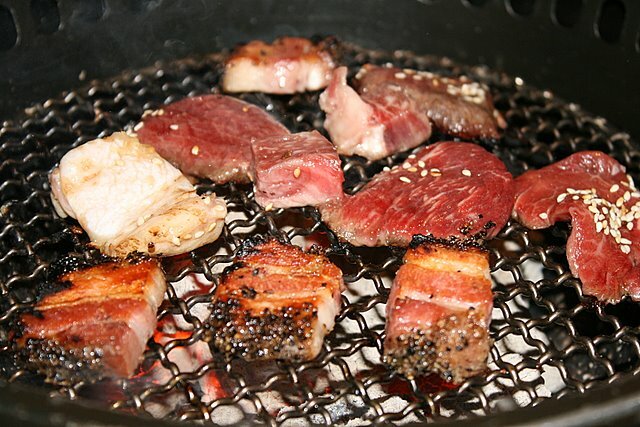 Japanese BBQ is one of the best ways to enjoy wagyu, in my humble books. 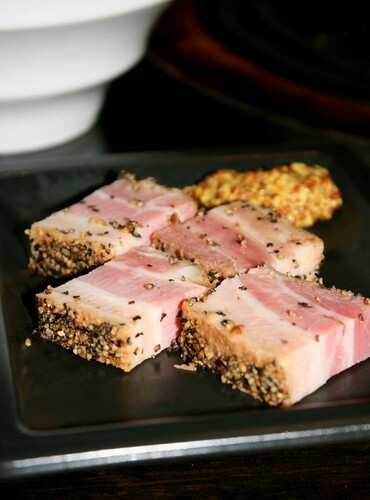 Seared very quickly over high heat, the meat retains most of its juicy fat that makes it so delicious. We started with a generous platter of kimchee. 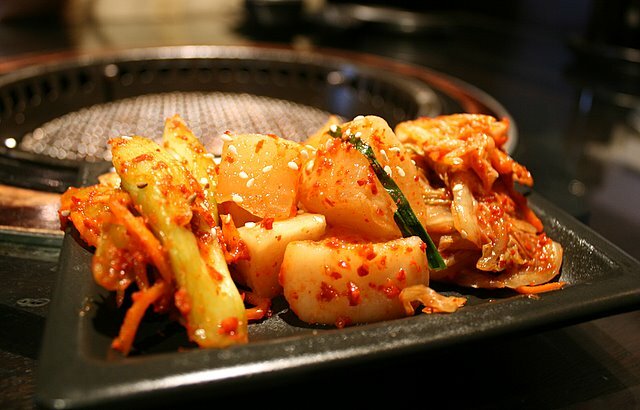 I'm not a big fan of most kimchee preparations in Singapore, but this was okay. (Prefer the one at Aburiya). And then they served the aburi bacon, with wholegrain mustard. Could not wait to start BBQ-ing these! 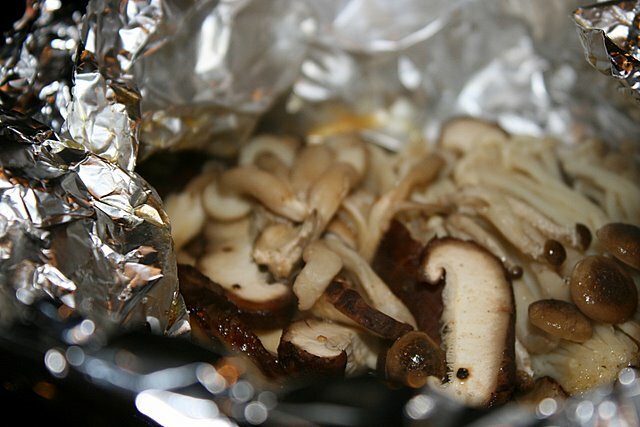 Assorted mushrooms - sliced shiitake, shimeji, and enoki - in butter, wrapped in foil. 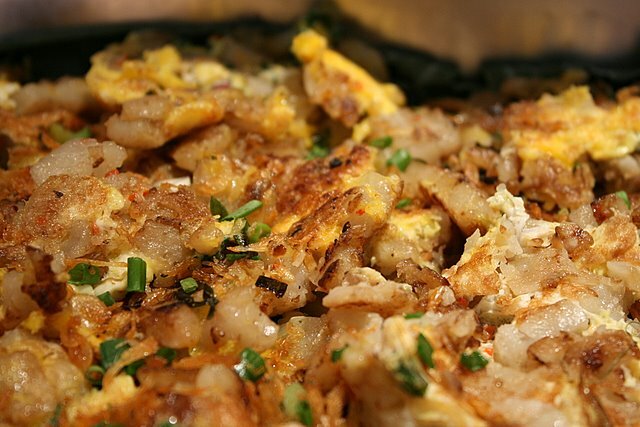 Place this on the hot grill for five minutes and they'll release their heavenly aromas. This was so simple and yet so tasty! The waiter recommended the Horenso salad (you get to choose from Caesar, choregi, wakame or Horenso), which was fantastic. 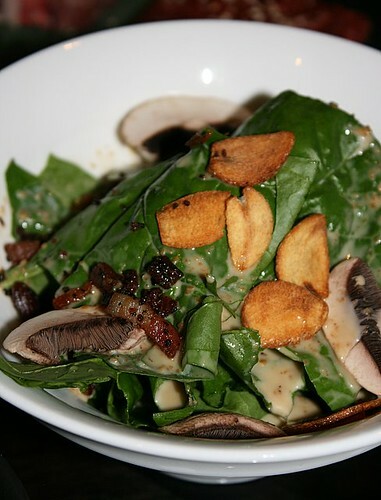 Baby spinach, crunchy bacon bits, garlic chips, and sliced mushrooms in Japanese dressing. Extremely refreshing. I wished there was more of this. 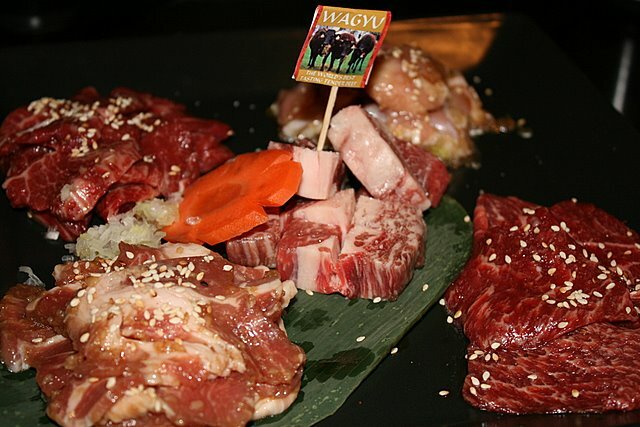 The platter of meats for two - the wagyu cuts, pork collar and chicken. The set comes with duck breast, but we requested chicken instead since we're not fans of duck. Let the sizzling begin! Some people joke that it's crazy to pay so much to cook your own food, but it's all part of the experience. 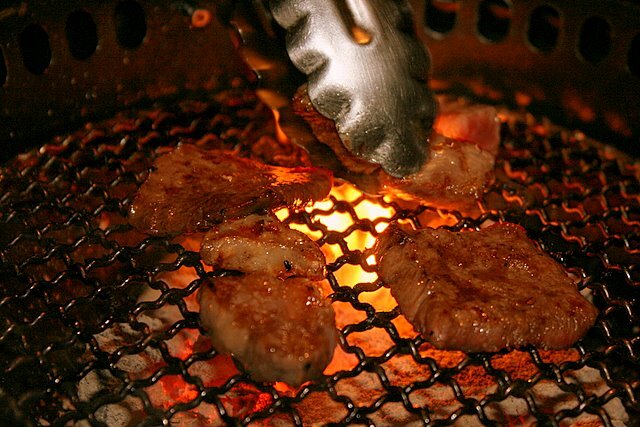 Fortunately, at Gyu-kaku, you don't end up smelling like BBQ - they really do a good job with ventilation control. 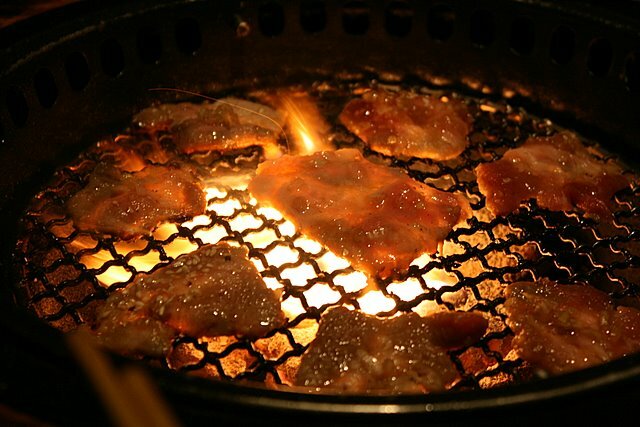 The pork collar slices are particularly fatty. They released fat and juices onto the charcoal, creating flares. I like my pork crispy and charred. The meats were all excellent. They almost didn't need any dipping sauce. But you get tare and ginger sauces as well as rock salt to enhance the flavours. I liked the honey-like tare and rock salt best. The last meat course was miso gindara in foil. 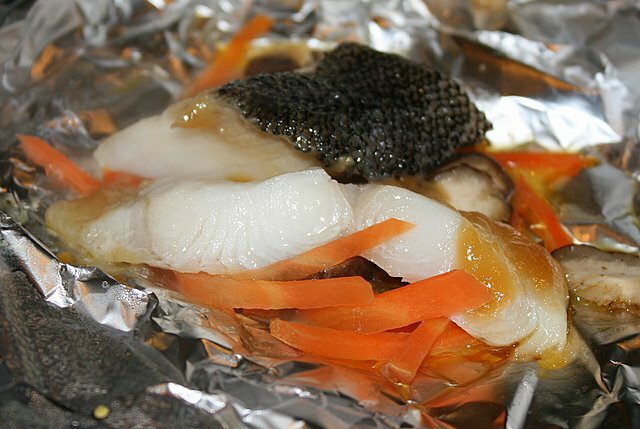 Two slices of cod with carrots and mushrooms. Fresh and succulent. Pity it was so little. Ishiyaki mentaiko arrived at the end, in a hot stone bowl. 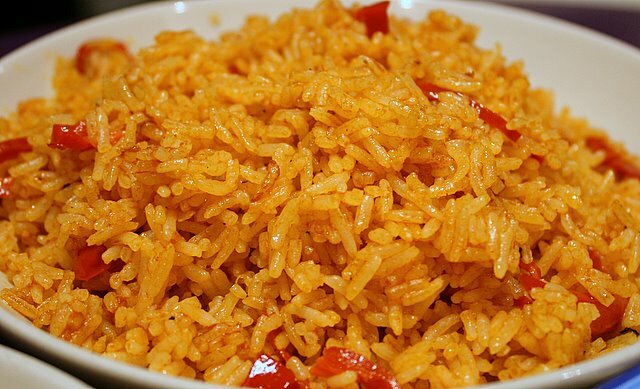 Rice with cod fish roe. The waiter asked if we preferred ours soft or crispy (crispy, of course! 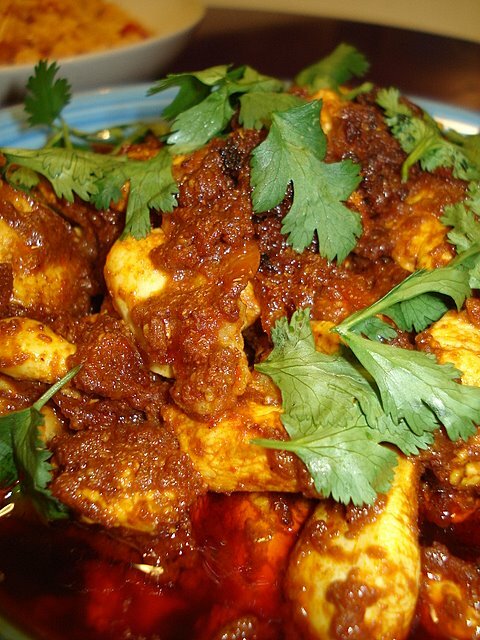 ), and then proceeded to mix the ingredients and let it cook in the scorching hot bowl. This is my portion, which I enjoyed with the buttered mushrooms and the fish. 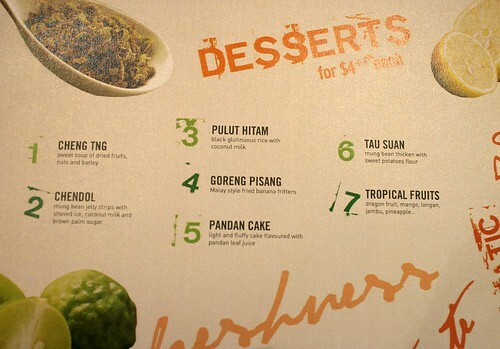 You get a choice of desserts (mostly ice cream and jellies). 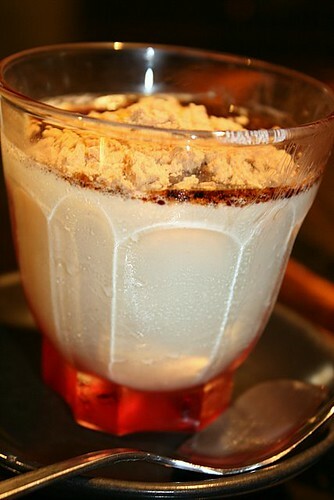 Hubby loves the milk pudding. Thick, firm and creamy pudding topped with caramel syrup and green bean powder. We almost went for a second one. I must learn how to make this! 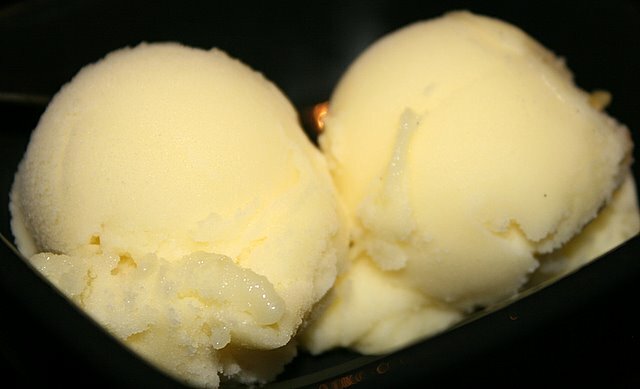 Two lovely, snowy scoops of yuzu sorbet to cut through the grease. Great palate cleanser. The portions of this set menu are not large but they fill you up just right. Very satisfying. Yes, it's a pricey meal (for me, anyway). 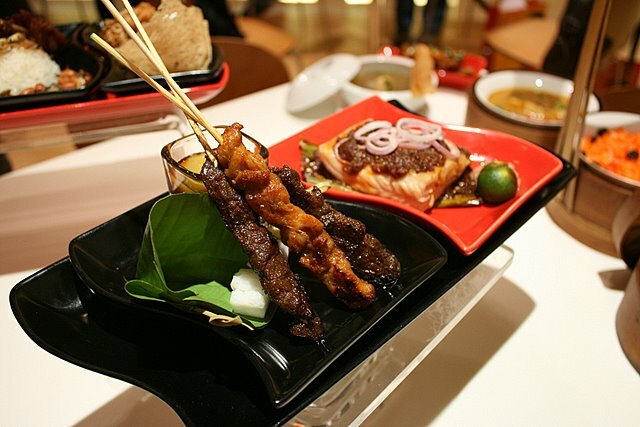 But you can easily rack up the same expenditure going to two or three less-than-satisfying eateries. I'd rather just eat fewer times and come here. 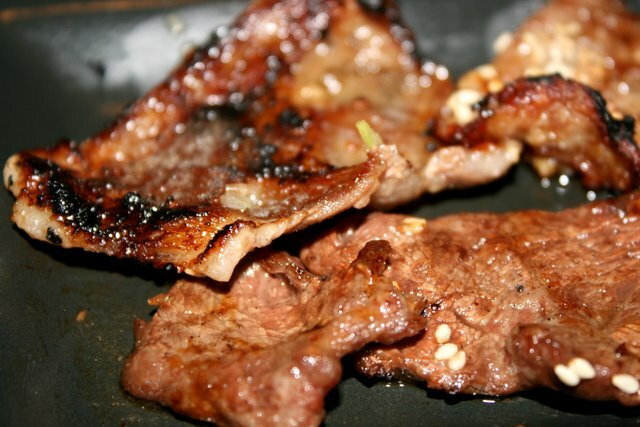 For some reason, I can't seem to compare Gyu-kaku directly to Aburiya, which we also adore. They each have their merits. 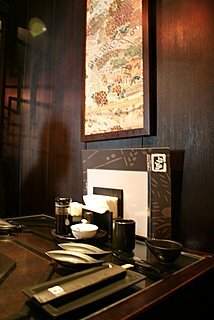 Aburiya is a bit more casual, Gyu-kaku more classy and upmarket. But both do Japanese BBQ well, with pretty good service so far. Hmmm, I want to go back already!